If you’ve never heard of Alex Jones, you should really check this out: He’s an investigative journalist and film maker based in Austin Texas, who is the modern day Paul Revere warning us against the globalist movement to enslave the population under a World Government. I’ve posted some of his documentary films in previous blog posts, and they’re well worth a watch. 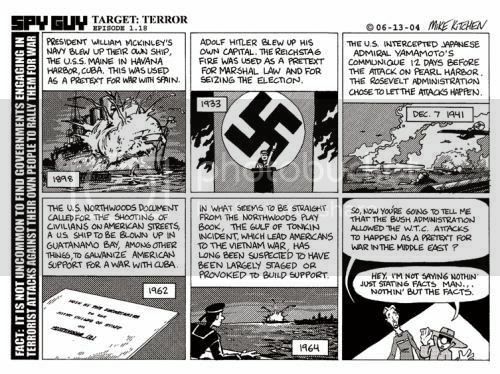 I first encountered Alex Jones’ work while researching material for SPY GUY:Minis, where he directly influenced this comic strip and got me to research the Northwoods Document. 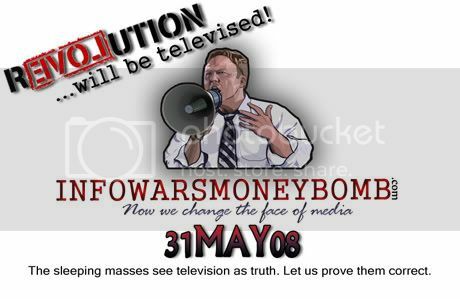 Today Eric Nordstrom has orchestrated a Ron Paul style MONEYBOMB to help fund the INFOWARS network. Every dollar donated is an arrow to be fired directly into the heart of the New World Order. As I posted before, it seems to me that if all of us employed what little wealth and power we have towards shaping the world to embrace true freedom and liberty, then together we could make great strides in creating better life for all humanity. You can listen to the Alex Jones live radio show by clicking here. I’ve contributed my arrows. Have you? 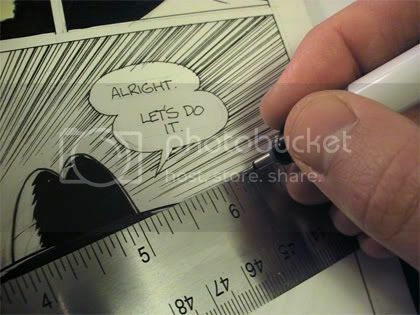 Here is a package that came in just a couple weeks ago from Effing Magnifier Productions. 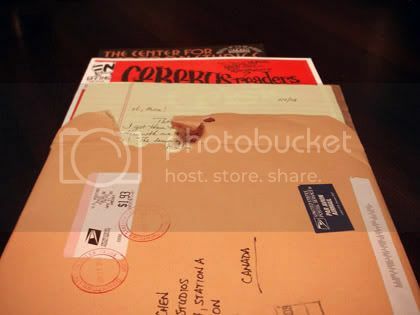 Inside was CEREBUS READERS IN CRISIS #3 along with a letter from publisher Jeff Seiler, and a Center for Cartoon Studies booklet. 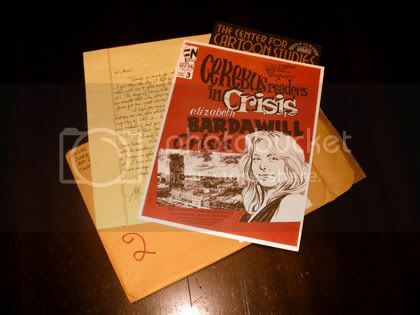 The main story this issue is by Elizabeth Ann Bardawill and is called Crisis (On Infinite London Ontarios). The back cover even contains a SPY GUY sketch that was drawn in CRIC #2. To purchase a copy ($5.00 + S&H), contact Jeff Seiler.